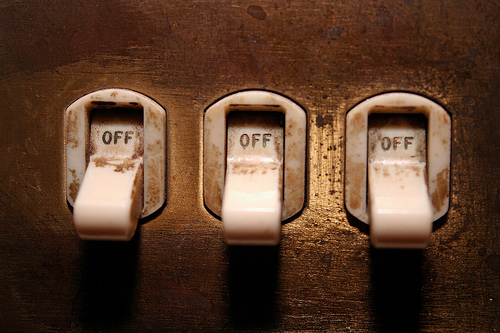 Can companies, or countries, make workers switch off? It is quitting time, and you know the drill. You grab your coat and slip on your Bluetooth for a quick call with a client on the commute home. You stop at the grocery store and, while you are in line, pluck out your BlackBerry to respond to emails. You arrive home, sit down to dinner and try hard to resist the flashing red light on your smartphone. Dinner is done: Time to check your email again, clear the dishes, and sit on the couch for some TV — with your computer on your lap, of course. Just a few last emails and then it is time for bed. You will soon wake up to do it all over again tomorrow. The constant drip of communication in what used to be known as “off hours” is the subject of a lengthy article in the publication, which offers a run down of opinion on the issue out of the Wharton School. The piece asks: what’s driving our constant need for connection? What’s it doing to us and whose problem is it? It kicks off with a list of high-profile companies that have recently done something to tackle their employees’ information overload, including French IT company Atos, Deutsche Telekom, Google and Volkswagen. From banning email to switching of BlackBerries after hours, these companies using various techniques to force staff to power down their devices – and their brains – for a much-needed rest. Countries are even trying to get hyper-connected workers to switch off – Brazil recently passed a law requiring employers to pay overtime when they ask employees to check emails or take calls out of hours. But experts from Wharton suggest that the problem runs deeper than a tweaking rules or policies can reach. We sometimes talk as if it’s technology that does it to us, that makes us this way. But the problem is deeper. Technology is just a very efficient way of implementing a view we already have of ourselves. That’s the notion that who we are is our ability to produce in the marketplace and constantly show that we are producing. Being a successful member of middle class society is showing our dedication to professional work and being available at all hours of the day. Who do you think bears the primary responsibility for policing after-hours use of communication devices? Image courtesy of Flickr use Orange Steeler.